It's summertime and we're all excited about seeing more sunshine, higher temperatures, BBQ's, trips to the beach, and being nearly able to tan. I went to the beach the first time this year on a hot and sunny day - had the best time ever! 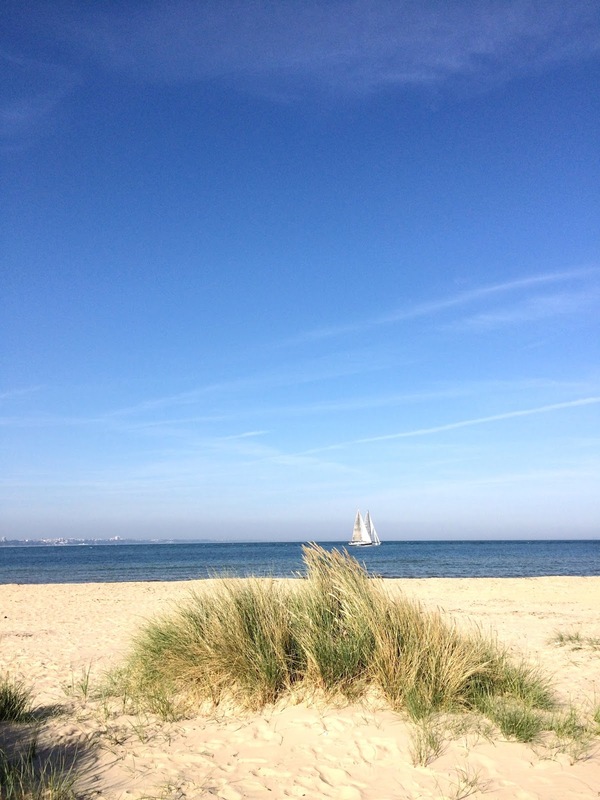 And would highly recommend visiting Sandbanks and Studland if you want white sandy beaches, pubs and restaurants with incredible views, activities, and fish and chips on the beach. But my amazing day trip cost me 48hrs of pure pain - I got the worst sunburn of my life because I didn't take the right precautions (i.e. putting on high SPF, didn't cover myself with the appropriate clothing, basked in the midday sun which is the worst, and forgot my straw hat to help reduce the risk of sunstroke) - so because I'm stupid and made this mistake, I wanted to share with you top tips on how to heal a sunburn if you find yourself in a hot situation. Light hat, especially if you're prone to sunstroke! Apply a natural moisturiser without any perfume or other allergens - restoring moisture is so important as your skin will go dry and tight when sunburnt. Apply at least 3 times a day, or more if needed! Have plenty of rest and listen to your body - it knows how to help itself. I spent a whole day in bed because my sunburn was all over my legs and I physically couldn't walk anywhere! Frustrating, but that's what you get for being silly and just running out into a whole day of sunshine without thinking about the sensible actions! I hope these tips on how to soothe a sunburn are helpful if you find yourself in a predicament like I did - and next time take care in the sun because I know I will! And if you have a trick which has worked for you, please share with the Dalry Rose community - comment below!